How can I check my cumulative consumption for Feb. 2019 in the Marketplace? 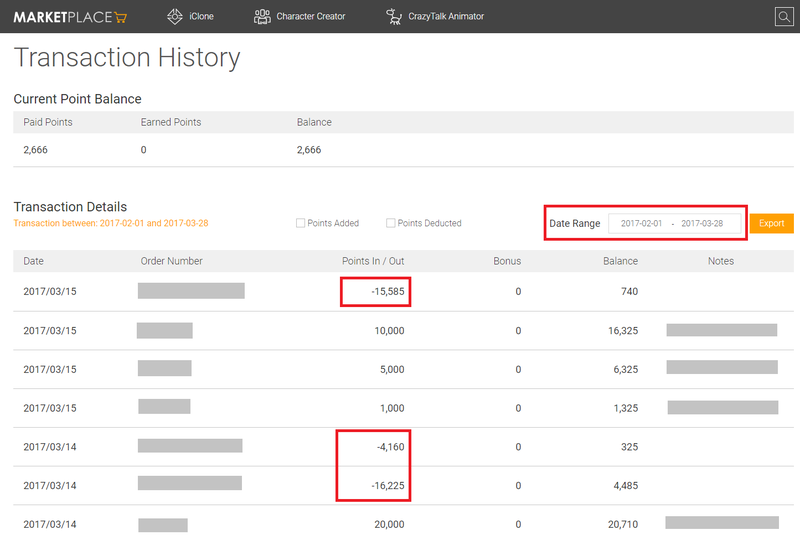 Click the "Transaction History" tab to see how many DA points you have used to purchase content from 2/1/2019 - 2/28/2019 (Select "Date Range" to set search date range from 2/1/2019 - 2/28/2019). Add all DA Points you have spent in February (check below screen shot, for example, add -XXXX DA Points you have spent under "Point In / Out" column). If the amount is over 3,000 DA Points, then you will get a 200 DA points voucher code. In another words, if have over 6,000 DA points, then you will get a second voucher code of 200 DA Points.